Holiday Home "the painter's home"
Visita la Italian version dell'appartamento a Roma da affittare. Holiday Home "The Painter's Home" is a structure that offers guests traveling to Rome all the facilities you need for a holiday "custom." 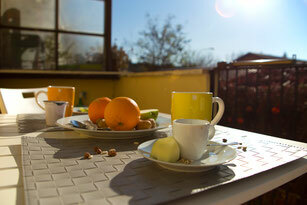 The apartment is very well located in the center east of Rome. Well served with many shops and services just a few minutes' walk. For your trips, or for short-term rent, looking for Holiday Homes in Rome, stopped to take a look! The apartment is not shared with other people. Prices in the vision on the relative page. you see when simulate a reservation! We also have the availability of EXTRA services. Contact us using references on the contact page. Rent in full throughout the apartment/holiday home with great freedom of movement.